UPDATE DEC. 18, 2017: Win a set of passes to this beautiful event! See details below! “Walking in a winter wonderland” is possible nearly every day this holiday season in Northern Virginia — and snow is not required. 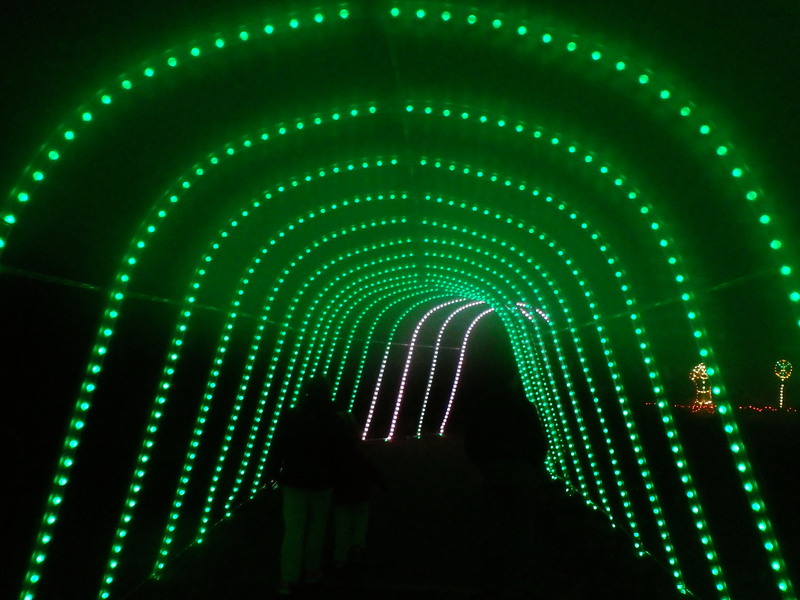 If you want to experience a true wonderland this winter, a visit to the beautiful Winter Walk of Lights at Meadowlark Botanical Gardens is a must-do activity. This annual lights display takes hundreds of thousands of lights to create illuminated sculptures that create a magical landscape. You can see the lights now through January 7, 2018, at the park in Vienna. 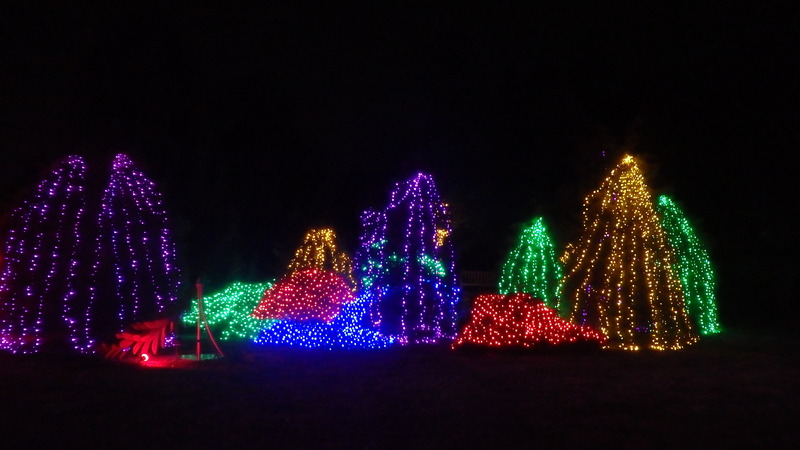 Winter Walk of Lights takes place each year at Meadowlark Botanical Gardens, a Northern Virginia Regional Park Authority (NVRPA) property. Here, more than half a million lights sparkle high up in the trees and on the ground, creating a garden of illuminated flowers and trees plus playful animals, snowflakes, and other nature and holiday designs. Meadowlark is a beautiful park on its own, but strolling through its paths and seeing its many trees, the gazebo, and even parts of the lawn itself light up in beautiful colors to create a magical setting. Visitors of all ages will feel as though they’re in something straight out of a story book. And the Winter Walk of Lights is such a lovely scene that it has been the site of several marriage proposals. 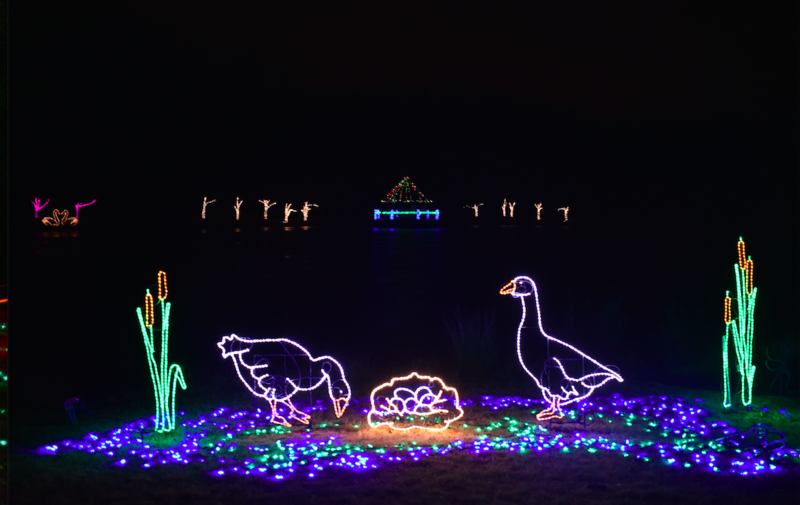 And although this display takes place during the holiday season, it is not a holiday show per se: the theme here is botany or flora and fauna, not Christmas, so it appeals to a more universal audience (if you love Christmas lights display, don’t worry: the drive-through Festival of Lights at Bull Run Regional Park, a sister NVRPA property, has Santa and all his friends in lights!). Winter Walk of Lights is truly an all-ages event. Visitors from the youngest babies to senior citizens will all be in awe of this gorgeous display. I know it made an impression on our young son when we took him for the first time several years ago and he, then a toddler, suddently turned to me and out of the blue thanked me so much for bringing him there! Best of all, the looped path, just a little over a half-mile long, is an easy walk that you take at your own pace, and even on busy festival nights, there is plenty of room to walk around, so it never feels crowded. You have plenty of time to stop to enjoy the lights (some change color, some are set to music), take photos, and just enjoy the scene. As you walk around, take time to stop by the “dancing trees” (near the gazebo) set to music, and look for photo opps. At the end of your walk, be sure to buy a kit to make s’mores by the fire pit! S’mores and a cup of hot cocoa are a nice way to treat yourself at the end of a lovely night. Back inside the visitors’ center, you can buy other treats or gift at the little shop. On select nights, you also can enjoy special activities such as face painting, nature exhibits, and holiday crafts. Two winners will each receive four (4) general admission tickets to Meadowlark’s Winter Walk of Lights, good for any day during the 2017-2018 operating season. These are walk-up tickets: the winners each will receive four individual tickets (good for child or adult admission) to use on any day and time, no reservations or time-ticket needed. To enter this giveaway, leave a blog post comment below before 11 pm on Friday, Dec. 22, 2017. Two winners will be randomly selected and notified immediately via email at the address the winner used when placing the comment; the winner will need to respond with 24 hours to the notification email or risk forfeiture. Tickets will be mailed to the recipient via regular U.S. Postal Service mail (in-person pick-up may also be an option). This promotion is not affiliated with Facebook. Contestants agree to abide by our giveaway terms and conditions. This giveaway is open to persons ages 18 and up. Total prize value is up to $52 per prize. 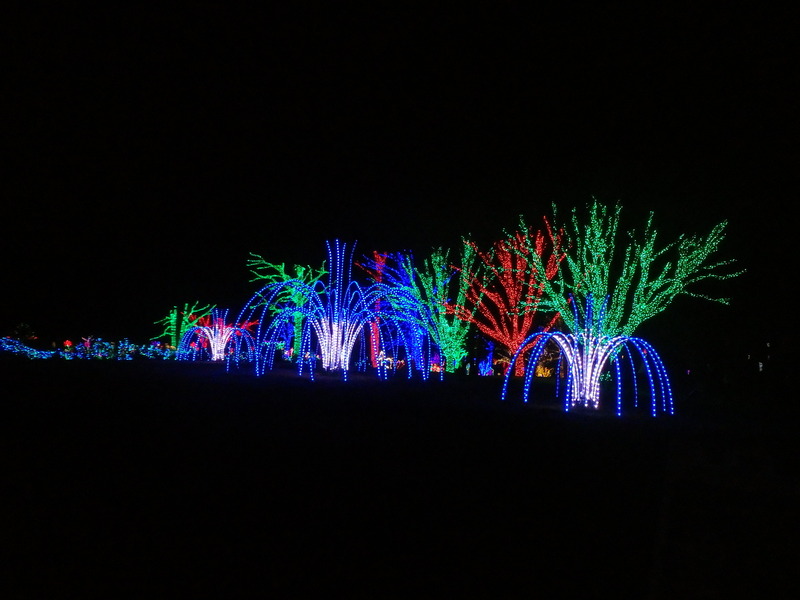 Share the post "Enjoy bright beauty at Meadowlark’s Winter Walk of Lights"
I have never been. I am sure my kuds would live it too! All I can say is …..please ! 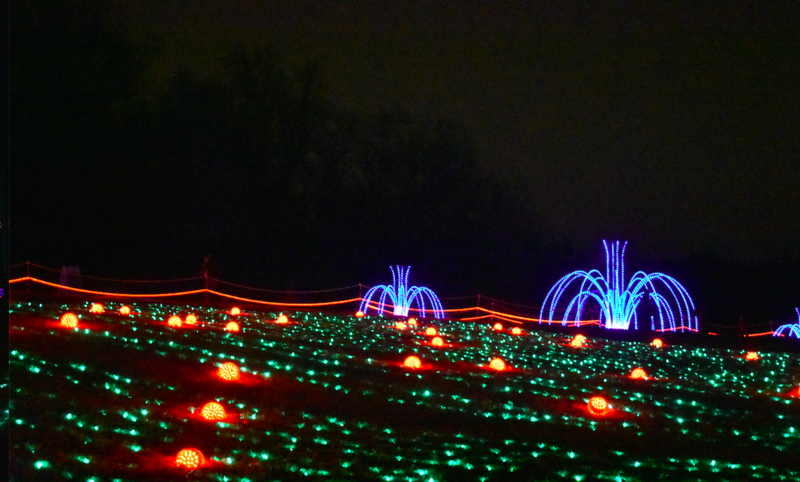 I would love to take my family to see the lights at Meadowlark’s Winter Walk of Lights! My two kiddos would absolutely love to attend the Festival of Lights! Thanks for a great giveaway! We would love to go!! What an awesome giveaway! We would love to take our family! We love Measowlark and haven’t been this year! Oh how we would LOVE to go!! I seriously can not believe we have never been! Always on the to-do list and we have never made it ? Hopefully this will be the year we do !! What a marvelous idea for a holiday activity! Wish I could go to this again!! This sounds like the coolest event!! Remarkable winter activity for local families. Thanks for sharing. Hopefully a chance to win! Hope I can win these tickets for my boys! Family of 6 can be pricey! My family would love to do this! I’ve never done the Meadowlark Walk of Lights and I’d love to do it this year! I hope I win! My family has never seen these lights, would love to go. Sounds like a wonderful place!! Love these pics! Hope to take our out-of-town family to both Meadowlark and Bull Run this year. This is our favorote of all the local light shows! We loved Meadowlark last year and it would be fun to take the kids again this year! Would love to go this year! Thanks for the chance! Never been and cannot wait to see them! My family would love to go! I have four children; rough time lately & someone let me know about this awesome place recently… we’d love to be the lucky winners ? I would love to bring my family to this!! Just moved back to the area, and we’d love to go! Can’t wait! We went last year for the first time! It was amazing. I’d love to take my sister to this when she visits! Would love to go again! My kids would enjoy this! It’s a fantastic experience. Never been but really hope to go this year! I would love to take my boys! Live in Vienna and have never been! We were planning on going over break! Winning would be awesome! Thanks! We have family visiting and would love to go! What a fun giveaway! I’d love to take the kids to check this out! We’ve never been to see the lights there and would love to go! My 4 year old is obsessed with lights. We drive around for hours. He would love this and it’s been sold out every time I try to go! I had tickets for Friday but sleet and an infant don’t mix. We’d love to win! This looks like a great way to get into the holiday spirit! The kids would live it! Haven’t been since my youngest was born. Would love to take the family this year! This has been on our list o fp laces to visit since we moved here, but we’ve never made it. Would love to win tickets and see this beautiful display of lights with our daughters! Thanks for the opportunity! Last few times I tried to go I fell terribly ill. Would love to take my two year old son. We have friends and family who rave about how lucky we are to live near such cool places. We are a military family and we would love to go and experience the lights! Its also my hubands birthday and I would really like to surprise him! We would love a chance to finally go! I would love to win the tickets to take my kids! Never been and very interested! This would be a super way to top off our Christmas! Thanks for always keeping me informed of what is happening! I know my kids appreciate you too! This would be a great memory to have with the family. I have never been and would love to go! Thanks for offering the giveaway! Looks nice! I want to go! Would love to take my 2 and 4 year as a new tradition! Never been before! We’ve been meaning to go so this would be great! Our kids would enjoy this so much, we’ve never been to it and would love to go! This would be awesome! We’d love it! Merry Christmas! Our 5th Christmas in NoVA and we haven’t been yet! Would love to take my kiddos here!? I hope we finally make it this year! I’ve been wanting to go for years! Looks beautiful! Would love to take our littles to experience it! Thanks for offering such a great giveaway! This looks like fun…we’ve never been. Sounds like a magical place! I would love to go! Moved to the area not long ago, would love to experience the beautiful light! I would love to take my family!!! I am new to the NOVA and it’s wonderful see an event like this. I can’t wait to go visit and really take in all of the beauty at this event. I would love to win these tickets! Amazing!! Thanks for the opportunity! This will be lots of fun, Merry Christmas ? My family would love this!!! My family and I have not been to this before and would love to go! It looks awesome!! This is a fantastic walk to do with family and friends. All ages can enjoy the lights and surprises. 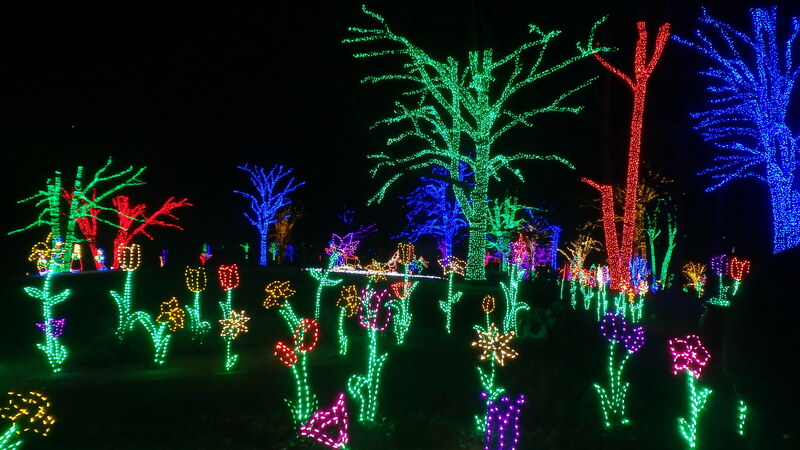 We have never been and would love to take my kiddos to see all the pretty lights. So pretty and festive!! Went last year for first time. Would love to go again. This looks beautiful! Our family has never done this walk, but it’s definitely on our list. This is going to be our last winter here in Virginia. Would love to go before we move!! Thank you! Would love to take my family! Looks beautiful! I’d love to get a chance to see it! 🙂 My girls would think they’ve died and gone to heaven with all those lights. Lol! Beautiful! It would be so much fun with our boys! I would love to take my family to this! We have never been there before and would love to check it out! Been wanting to go! I know my kids would love this! This would be so much fun to walk through during our incredibly warm winter, especially with out-of-town family. Fingers crossed!!! Thanks for the opportunity and helpful information – much appreciated! Beautiful! I would love for us all to go thanks! What a great light display! Hoping to visit in person soon. We would love to go! We went last year on what seemed to be the coldest evening in December and weren’t able to enjoy it like we should. Be blessed. Happy New Year. This park looks amazing, my family and I would love the opportunity to go!! This is my son’s favorite light display! I would love to take my mom while she is here visiting. WHat a wonderful idea- happy holidays! We have never been to this, and my boys would love to go! This is our last year here and we’d love to see this! Thanks! We talk about going every year and still haven’t been yet! Would love to go. Would love to win tickets! I would love to be able to take my sons to see the light. We went one year after Thanksgiving and my girls had the best time! We’ve never been here before and would love to check it out! This would be awesome always wanted to go! I would love to win! This is one of our favorites and we haven’t been able to get there yet! We haven’t been in a few years. We would love to go! Would love to take my daughter! We’ve never been to Meadowlark and hope to go this year. Thanks for the give away!! We would love to go to this! Would love to get there this year! Last year was our first visit and we absolutely loved it! Would love to make this a family tradition! We haven’t been in a few years and would love to see the changes! Would love to take my family! Thanks and Merry Christmas! We as a family of four would love to go this year to see this Meadowlark Lights this season. We went there for different events in different seasons. This would be the perfect place for our first family outing since our newest addition who joined her older nine year old sister , now that she’s one ! We’ve never been, but would love to go! Would love to take my sister um.law that’s visiting! N recently mentioned that he wants to go this year! Would be happy to have the any day, any time tickets. We would just love these tickets to go with family! Thank you for having this drawing! This is my favorite place in NOVA to see Christmas lights. It is absolutely stunning at Meadowlark. I’ve lived in this area for 19 years now and would love to go for the first time! Thanks for giving away tickets, we’ve been wanting to go for years! We have always wanted to go to this! This would be a wonderful gift for my family this Christmas as we are new to the area. This one has been on our list for a while but we have yet to go! Looks beautiful! So pretty! I hope to see it! Wonderful opportunity. We would be grateful if you’d choose our family.